Side wall belt conveyor means that there is side walls on the Belt Conveyor Systems, which is safe when the worker is working. The side walls material of belt Conveyor Systems can be glass, transparent plastic, iron sheet and stainless steel. We can design the whole Belt Conveyor systems for you. Welcome to our factory and discuss the details of the belt conveyor systems you want. The aluminum covneyor belt is easy to install and operate and transfer conveyor belts are widely used in different factories. There are many belt conveyor systems for options. We can add the blocks on conveyor belts. There is side walls on the belt conveyor, which is safe when the worker is working. The aluminum covneyor belt is easy to install and operate. More PVC Belt Conveyors are available. Looking for ideal Side Wall Belt Conveyor Manufacturer & supplier ? We have a wide selection at great prices to help you get creative. All the Transfer Conveyor Belt are quality guaranteed. 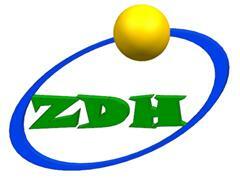 We are China Origin Factory of Aluminum Conveyor Belt. If you have any question, please feel free to contact us.